Morocco is full of surprises. Its cultural diversity and complex history means that, today, Moroccans are always celebrating something. From Berber tribal traditions to electronic music festivals and cutting-edge contemporary art exhibitions, there are numerous Morocco festivals to enjoy. So while you’re planning your next trip to this eclectic country, make sure to check out which festivals you don’t want to miss below! During the first month of the year, all eyes are on Morocco’s New Year celebrations which come at two different points in the month. The first, best known to the Western world, is January 1st. This day is a national holiday in Morocco, and Moroccans typically spend it resting from the previous night of fun celebrations (See below: “December”). The most unique New Year’s celebration, however, comes a couple of weeks later on January 12th and 13th. This is when the traditional Berber community of Morocco celebrates Yennayer, the Amazigh New Year, which inaugurates the beginning of the crop year. Today, various towns in Morocco, such as Agadir and Tiznit, organize events to commemorate the day. But the most traditional Morocco festivals occur in the middle Atlas, where Berber tribes sing, dance and prepare couscous in the hopes of obtaining a prosperous agricultural year. Around this time, on January 11, all of Morocco also celebrates its Proclamation of Independence from the French colonial power. On January 11th 1944, the Moroccan Independence Party presented a manifesto to the French demanding full independence. Although this manifesto was dismissed and Morocco didn’t gain its full independence until 1957, the Proclamation of Independence remained an important symbol of Morocco’s nationalist struggle. Today, it is a national holiday celebrated with street decorations and public festivities in various cities throughout Morocco. In February, Tafraoute’s Almond Blossom Festival gets all the attention. As Morocco’s almond-producing capital, Tafraoute has historically held a small agricultural gathering every year to sell almond products and celebrate the year’s harvest. The festival’s growing popularity, however, soon required the event to move from Tafraoute to Valle Dei Tempi, where it currently takes place. With this move, the event also developed from a simple harvest festival to a local folklore celebration involving traditional Berber music, dance and theater. Among the valley’s ancient Roman ruins, market stalls line the streets and the stage performances compete with the blossoming almond trees for your attention. There are two main annual events taking place in Morocco in March. In the small town of M’Hamid El Ghizlane (60km south of Zagora), the International Nomads Festival is a free open-air event celebrating all aspects of nomadic culture. It invites local, national and international artists to showcase their poetry, music, dance, storytelling and handicrafts. Conferences and workshops also take place to discuss issues related to nomadic lifestyle, agriculture, environmental protection, education and more. Traditional dishes are also prepared here, and you can even practice some traditional sports. The majority of the event, however, takes place in an especially set-up nomadic camp some 20km from M’Hamid. If you’re planning to attend the International Nomads Festival, make sure to arrange appropriate transportation in advance as the roads are not in the ideal condition. For art enthusiasts, the Marrakech Biennale is the perfect place to be with its displays of avant-garde contemporary art, literature and film. With the aim of addressing social issues and bridging cultures through the arts, the 1-month event is held every 2 years and usually opens at the beginning of March and ends in late April or early May. It features a main visual arts exhibition and various other art installations, discussions, film screenings and debates and is a Morocco festivals highlight! April offers a diverse cultural agenda. The Marathon des Sables (The Sand Marathon) is one of its most unique events (albeit not as much of a Morocco festival as the others), taking place every year over the course of 10 days. This one-of-a-kind marathon is held in the Sahara Desert and is considered the toughest foot race on Earth, covering 251km (156mi) in a 6-day event. If you’re looking for a challenge, this is it! Make sure to sign up to participate well in advance, however, as applications fill up quickly. For the less physically inclined, there is still plenty to enjoy in Morocco in April. The Sufi Music & Cultural Festival is held every year for 8 days in the imperial city of Fez (in 2016, the dates have been pushed back to October). In honor of Sufi spirituality and music, the festival brings together Sufi religious leaders as well as artists from around the world to showcase their poetry, films, music, dance and artworks. Scholars also gather here to discuss important themes around Sufism such as human rights, cultural diversity and world peace. In mid-April, you can also look forward to the Merzouga World Music Festival which takes place among the majestic dunes of Erg Chebbi. This unique festival seeks primarily to be a place of cultural exchange, featuring artists, dancers and musicians from all corners of the world. Some sports activities also take place, which are especially enjoyed by the little ones. The month of May is when Morocco’s cultural agenda really shines, with some of the best-known festivals taking place throughout the country. 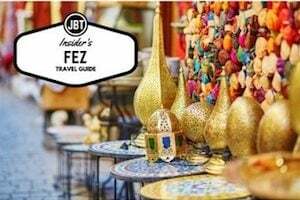 In Fez, you’ll find the Festival of World Sacred Music, gathering musicians, scholars and art enthusiasts from all over the world. The week-long event features free concerts, a film festival and a forum where debates are held. The Festival of Roses is one of the prettiest celebrations in Morocco, dedicated to commemorating the season’s rose harvest. It is held approximately 50 miles north of Ouarzazate in El Kelaa M’Gouna, a town affectionally also called the Valley of Roses. It is here that Morocco produces the majority of its rose water, a staple in Middle Eastern cooking. 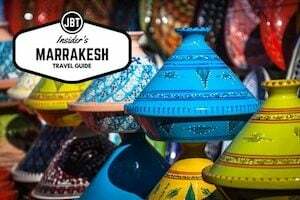 Along the narrow streets of the souk in El Kelaa M’Gouna, you’ll find delicious food stalls, Berber dancers and singers, and even a parade of floats. We can sometimes build Morocco tours around these events, but it can be tricky since the timing is related to the harvest. A more modern festival is the Mawazine (Rhythms of the World) which takes place in Rabat. Spread across eight stages, the festival takes over Morocco’s capital to showcase some of the world’s most popular artists with past headliners including Kylie Minogue, Elton John and Whitney Houston. Increasingly, Moroccan artists are featured as well using the festival as an opportunity for their big break. One great festival for those looking to get to know Morocco’s multicultural past is the Gnaoua World Music Festival held in the picturesque seaside town of Essaouira in June every year. Over the course of four days, the festival celebrates the Gnaoua people and their ancestral contribution to the world. Over half a million people attend the festival to watch dance and musical shows and connect with the artists in more intimate performances and open debates. Those looking to have a laugh can attend Marrakech du Rire, a 5-day international comedy festival taking place in Marrakech. The kings and queens of comedy, along with young comedians looking for their big break, put on their best show for you across a multitude of venues in the city. It’s worth noting performances are mostly done in French and/or Arabic. As the summer heat takes over Morocco, its coastal towns come alive with all kinds of eclectic festivals. One of the most popular is the Timitar Music Festival which takes place in Agadir. Widely recognized as one of the premier African music festivals, it features over 40 artists from all corners of the world to promote Amazigh culture. 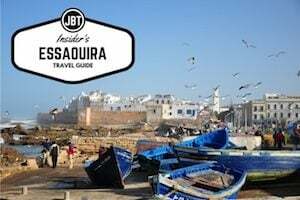 The International Cultural Festival is the festival that follows, attracting hundreds of thousands of visitors to the otherwise quiet seaside town of Asilah. Artists flock here to showcase their work and paint murals on the medina’s ancient walls. The star of the show, however, is a three-day horse festival which includes a Moroccan fantasia (a traditional exhibition of horsemanship). 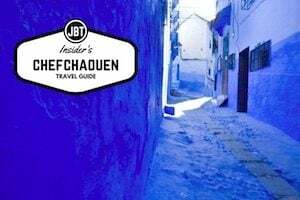 Later, in the picturesque blue-washed town of Chefchaouen, Alegria seeks to celebrate culture and diversity on its two-day event. 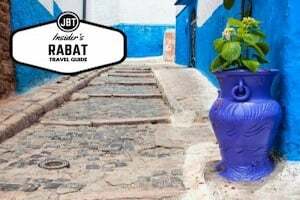 Musical performances, photography exhibitions, local talent shows and tasty traditional foods fill the streets of Chefchaouen to showcase the best of Moroccan and international culture. At the end of the month, on the 30th to be exact, Moroccans celebrate the crowning of His Majesty King Mohammed VI with the Feast of the Throne. As a public holiday, people flock to the streets to celebrate with fireworks and parades. The celebrations continue in August, with two main Morocco festivals that seek to honor and showcase the best of Moroccan culture. The Tafraoute Summer Music Festival, held in Trafraoute, is a free three-day event featuring local bands, musicians and artists from all over Morocco. 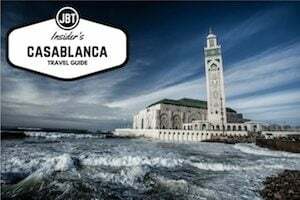 The Moussem Moulay Abdellah Amghar, held in El Jadida, is a fascinating religious and cultural festival honoring the Sufi Saint Abdallah Abou Lmahasin Mohammed Amghar. It gathers over 500,000 attendees to watch all expressions of Moroccan folklore art including fantasia performances, traditional orchestras, songs and dances. 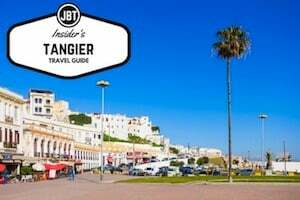 In early September, the fun starts in Tangier at the annual Tanjazz Festival. Here, both amateur musicians and household names come together to light up the stages of Tangier for a three-day event. Workshops are also available for dancers and musicians throughout various sites in Tangier. But if you want to travel back in time, the Imilchil Marriage Festival is the one you can’t miss this month. This traditional Berber custom happens once a year and seeks to bring together families of various local tribes to meet and marry their sons and daughters. Visitors are allowed to attend the event, but discretion is advised while observing the ceremonies. Temperatures may start cooling down in October, but the festivities continue in full force! The Dates Festival in Erfoud kicks us off by celebrating the season’s dates harvest with religious ceremonies, a colorful procession of traditional costumes, camel races and, of course, music and dance. A newer festival, debuting in 2016, is MOGA, an electronic music festival to take place in Essaouira. With your ticket purchase, you can have access to daytime events ranging from musical brunches to beach parties and digital video installations, as well as the nighttime concerts featuring an impressive lineup of Africa’s best electronic music artists. At the end of the month, celebrate peace and nomadic heritage under the stars in the Sahara Desert at the Taragalte Festival. For three days, relax on the sandy dunes, listen to music, dance under the moon and participate in riveting discussions on peace, stability and environmental protection. All eyes are on Morocco’s Independence Day on November 18th. It was on this day, in 1944, that Morocco’s King announced the country’s independence from the French and Spanish colonial powers. Today, the day is celebrated throughout the country with colorful parades and street vendors selling traditional foods. For a last glimpse at Morocco’s traditions, the Tan Tan Moussem is a festival you can’t miss. This event brings together more than 30 tribes from southwestern Morocco and other parts of northwest Africa to worship, exchange stories, dance, and compete in camel races. Later on in the middle of the month, the Marrakesh International Film Festival seeks to honor the best of Moroccan cinema with awards presented in a variety of categories. Movie screenings take place at Jemaa el Fna square as early as 11am during the week-long festival. And there’s no better way to end your year than in Morocco. Here, it’s tradition to spend New Year’s Eve under the stars in the Sahara Desert for a night you won’t forget. There are some festivals in Morocco whose dates change every year, because they follow the Islamic calendar. Aid el Kebir is similar to the Western New Year celebrations. On this day, every family traditionally sacrifices a sheep and shares the meat at a family meal. The holiday is a remembrance of Abraham’s willingness to sacrifice his son at God’s command and God’s mercy of replacing the son with a sheep. People celebrate by cooking special foods and donning their best clothes while visiting family and friends. In smaller villages, children hop from door to door to wish everyone “Umbalid” (Happy New Year). Thirty days after that, the Prophet’s Birthday (Eid El Mouloud) celebrates the birth of the Prophet Mohammed with various cities putting on lively moussems. Achoura is celebrated on the tenth day of Muharram and is regarded as a day of joy by the Sunni Muslim population in Morocco. Local customs honoring the religious day vary across the country but usually parents offer toys to their children who spend their day playing outside with fireworks. A mix of pastries, nut fruits and apricots are also exchanged. Possibly the most well-known Muslim celebration in Morocco is Ramadan which moves 10 days forward on the Western calendar every year. It is a time of intense prayer and reflection for Muslim Moroccans typically marked by a fasting ritual. This is what you can expect as a traveler in Morocco during this time. We’ve created this handy infographic that you can use to remember and plan your visit with some of the most popular festivals in Morocco! We would love to help you build a travel plan an that includes one or several festivals. Get in touch with us today to see what might be possible!